The Chiesa Di San Francesco with the gothic architecture was built by Fermo Zuccari in the mid 19th century. It was rebuilt after a fire accident in the Neo Gothic style in 1985 with the introduction of the two huge canvases, a terracotta polyptych from 15th century, the intricate fresco on the column from 14th century and the marble built sculpture of dead Christ by Jacopino da Tradate. Some of the interesting works on the Chiesa Di San Francesco building are the Neoclassical Greek Cross, deep chorus and side chapels and the sixty metre tall magnanimous dome. A number of sculptures made by artists like Civeri and Albertoli will keep you hooked while exploring the interior. 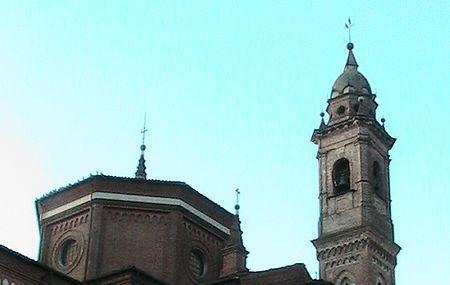 How popular is Chiesa Di San Francesco? People normally club together Parrocchia Di Santo Stefano Protomartire and Chiesa Di San Leonardo while planning their visit to Chiesa Di San Francesco.